What If I Forget to List a Debt in My Bankruptcy? 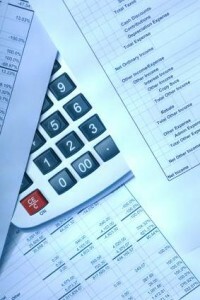 Information on your bankruptcy schedules must be accurate. And that includes listing all your debts. Okay, but what if I messed up and missed one? However, if there is a distribution to creditors–even a small one–or you filed a Chapter 13 case, the law is clear: the debt is not discharged. Listing all your creditors is important! As I tell my clients, list all debts–real or imagined–in the Milky Way Galaxy. You must even list debts you dispute. You get the point. You’re obligated to do it anyway, and you might end up going through bankruptcy without the benefit of discharging all your debt. And discharging debt is almost always the only reason you’d want to file bankruptcy! This isn’t so everywhere. In some districts, if you fail to list a debt the debt is not discharged, even if there is no distribution to creditors. Getting into an analysis of which districts follow which rule is beyond the scope of this blog, so seek advise in your district if you have issues with an omitted debt. There’s still hope. See your bankruptcy lawyer. You will likely be allowed to re-open your case and amend your schedules to list the debt. All this costs, though, so you would not want to do this for a small debt. It might be more cost-effective just to pay it. All this underscores a theme I keep hitting: filing bankruptcy is serious business. Your schedules must be accurate. Doing a sloppy, incomplete job hurts you the most. When your lawyer asks to you to review your schedules to make sure everything is accurate, pay attention. Postscript: Because listing your debts is so important, I firmly believe you should run your credit report prior to filing bankruptcy. I require my clients to do this, and we import any debts directly into the client’s schedules. Even with this precaution, it’s no guarantee that all the debts are listed. Ultimately, it’s the client’s responsibility to know who he owes. PreviousPrevious post:A Nod to Bankruptcy Lawyer James MoroneyNextNext post:Will the Bankruptcy Trustee Take My Jewelry?